Why are you going? Be clear on what you want out of the experience — training, self-development or an adventure — and select an agency or program that will meet those goals. Do a background check. Find out how long has the organization been in business and read online reviews. Look for transparency in how your fees are used. Good organizations should publish their accounts or be happy to share them with you. It’s not wrong for organizations to have a margin, but they shouldn’t be exploiting volunteers and communities for profit. Ask clear questions about what the costs include, how many hours a day you will be working and if there is anyone in-country you can contact if any problems arise. Interview people who have already worked with the organization – they’ll tell you the real story. Read up on local cultures and customs before you go. Be sure to pack appropriate clothing and behave in an appropriate manner. You are there to learn for the locals and not the reverse. Be prepared to leave your comfort zone. Do not expect to live the same life you do at home. Pick a voluntour experience that’s suited to your interests and skills. For example, if you’re good with electronics or technology, you can apply for a job teaching those skills elsewhere. If you’re not qualified to do it at home, don’t do it abroad. It should feel like applying for a job and not booking a holiday. Think of volunteering for a minimum of a month or longer - especially when it comes to childcare, teaching or community work projects. It’s a big investment for your host to train you and get some benefit from your stay. Make sure that volunteer organization works with groups in the local community and participates in a project that the community actually needs. Stay in local hotels, eat in locally owned restaurants and purchase locally made handicrafts. This ensures your money stays in the community and supports a culture of entrepreneurship instead of dependence. Building things might not be the best use of your skills – and you’re potentially putting a local out of work. Likewise, giving things away like shoes and school supplies can destroy local markets and create a culture of dependence. Giving money to children on the street just might be keeping them there. 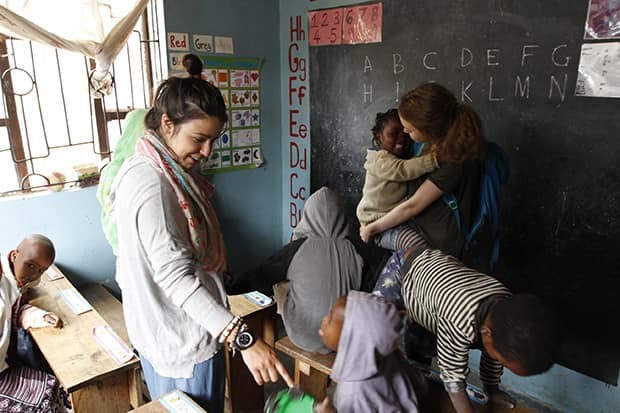 Reports have surfaced that many children in orphanages are not orphans and the voluntouring has increased the number of children living there. Even if the children have no parents, short-term attachments with foreigners may do more harm than good. In volutourism, the ‘tourism’ comes second. Make commitments that you can keep.